When was the last time that you couldn’t stop yourself from laughing out loud as you were reading a book? Come on, never! I can’t believe it. Where would we be without side-splitting humour? Stating the obvious, in a sad, sad space. It’s refreshing to ‘poke fun’ at ourselves, to take the seriousness out of our focus for a time and devour big slabs of rich, sweet, gooey literary laughter. Here’s a 21st century issue. Self-diagnosis. We’ve only thought of doing this, right, because of all the information available at our finger-tips through the www. Who of you haven’t ‘Googled’ symptoms that you are looking to fit a disease to? We were all feeling seedy, and we were getting quite nervous about it. Harris said he felt such extraordinary fits of giddiness come over him at times, that he hardly knew what he was doing; and then George said that he had fits of giddiness too, and hardly knew what he was doing. With me, it was my liver that was out of order. I knew it was my liver that was out of order, because I had just been reading a patent liver-pill circular, in which were detailed various symptoms by which a man could tell when his liver was out of order. I had them all. LOL material from Jerome K Jerome in Three Men in a Boat (1889). Ha, ha, we’re not alone are we! Harris got off merely with a flesh wound…We beat it out flat; we beat it back square; we battered it into every form known to geometry — but we could not make a hole in it. Although written originally as a serious travelogue, the comic anecdotal segments of this text have placed it squarely in the comedic genre. Another hilarious text of this era is The Importance of Being Earnest by Oscar Wilde (1894). ALGERNON: I’m sorry for that, for your sake. I don’t play accurately–any one can play accurately — but I play with wonderful expression. As far as the piano is concerned, sentiment is my forte. I keep science for Life. Witty dialogue in this text flows freely, leading to many LOL moments. Humour and satire of manners is not confined to literature of the 19th Century. 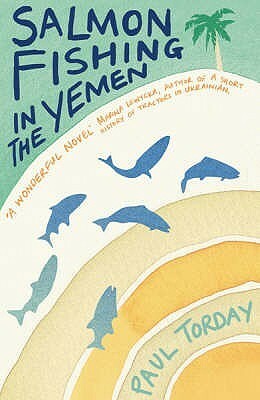 One of my LOL experiences was with Salmon Fishing in the Yemen by Paul Torday (2007). This book was added to my reading catalogue through my first book group. The premise itself is droll enough when Torday has English Fisheries Scientist Dr Alfred Jones asked to help create a salmon river in the highlands of the Republic of Yemen (considered to be one of the poorest Arab nations). Jones is understandably reluctant and skeptical, but in true ‘Yes, Minister’ style he is persuaded to figure out how to fly ten thousand salmon to a desert country — and persuade them to swim there. He, he, he — Yes, Minister meets Monarch of the Glen. I found unexpected pleasure in reading this quirky satire that explores the elements of hypocrisy and bureaucracy, dreams and deniability, and the transforming power of faith and love. Humour is infectious. Laughter binds people together and increases happiness and also triggers healthy physical changes in the body. Humour and laughter strengthen your immune system, boost your energy, diminish pain, and protect you from the damaging effects of stress. So, here’s my suggestion, rather than ‘Googling’ your symptoms to find which disease you have, read a funny book and LOL. This entry was posted in Book Groups, Books I've Read and tagged book groups, humorous books, jerome k jerome, oscar wilde, Paul Torday, salmon fishing in the Yemen, the importance of being earnest, three men in a boat by wentowrite. Bookmark the permalink.